Having perused Government’s draft “Public Universities Bill, 2019,” I am outraged at the unabashed bravado of the Akufo-Addo Administration to launch what is clearly a crude attack on the sacred principles of academic freedom and autonomy of our public universities. A careful consideration of the provisions in the draft bill portray a desperate authoritarian agenda to assail the pillars of insulation and thereby blatantly interfere with the management of our higher institutions of learning in flagrant violation of Article 21 of the 1992 Constitution of Ghana. It would be interesting to know from His Excellency the President, what exactly makes the current administration of public universities so cumbersome? And, perhaps, why is his Government the only Government in recent history to feel this way? It does become apparent when one reviews the draft bill that the events of the abortive attempts to dissolve the University Council and dismiss the Vice Chancellor of the Kwame Nkrumah University of Science and Technology some time last year informs this legislation. Those circumstances as is well known, left the Government with a bloody nose, figuratively, following the bulwark provided by the Chancellor, Asantehene Otumfuo Osei Tutu II with the support of the larger university community in resisting that violent interference after lessons were learnt from Prof. Mawutor Avoke of UEW’s predicament. This seems clearly to be the immediate cause of Government’s frustration and therefore explains why Government will embark on this reckless, ill-advised and short sighted intervention to ostensibly create the legal basis for a more lethal come back. It is astonishing, however, that Government refuses to be guided by the history of higher education in Ghana. A history of remarkable resistance and dogged resilience in shielding universities from outside intrusion right from the very outset when the foundations of higher education were being laid. It is precisely because of this principle that the very first motto of the nation’s premier university, the University College of the Gold Coast (UCGC) in 1948 was “Vigil Evocat Auroram.” Together with the cockerel as its symbol, the message was clear – the ever vigilant and watchful bird calling forth the dawn. The university college’s raison d’être was explained as keeping vigil to protect its academic freedom from being eroded through political interference in its affairs. It is this tenacity to protect academic freedom and the autonomy of the University of Ghana that ensured that even when the Chancellor of the university, President Kwame Nkrumah (the 1961 University of Ghana Act allowed for only Presidents to be Chancellors) took the chair of the eight member Interim Council in 1961 together with CPP stalwarts, the Honourables K.A. Gbedemah, Kojo Botsio, Tawia Adamafio and Kofi Baako; the university community still ensured that Government – University relations did not degenerate into interference and control by the former. Even then, after tensions, particularly with Col. Acheampong’s Chancellorship, the university community recommended and Ghana agreed through the 1979 Constitution to abolish the practice of Presidents serving as Chancellors in order to guarantee stronger autonomy. It is instructive to note that although PNDC law 239 made the Chairman of the PNDC Chancellor, Chairman Jerry John Rawlings did not exercise that authority. The irony cannot be lost on us – what military rulers avoided, a democratically elected President Akufo-Addo is rather championing. Humbly, I shall now share my thoughts on the draft Public Universities Bill, 2019. First of all, it is not clear what purpose the law intends to serve neither do we know what mischief it professes to cure, save to give the Government legal basis to pursue an unmitigated invasion. As the saying goes, “if it’s not broke, don’t fix it.” Ghana’s public universities, despite challenges associated with all human institutions, have gained an enviable reputation globally for their academic excellence and impeccable pedigree. The introduction of this bill which arrogantly shoves aside the establishment Acts of public universities is most ridiculous and a travesty of justice. 1) Clause 3(1) which seeks to give the President powers to appoint a majority of five members of a proposed nine member governing council. This proposal will successfully place the University Councils and by logical extension the entire university under political control. If this is allowed, it will effectively mark the death of the notion of an independent university. Suffice to add that university dons who espouse views which may be at variance with the ruling party risk endangering their academic careers since Clause 5(h) requires the new politically controlled Councils to approve professorial level appointments. 2) Clause 3(5) grants the President sweeping powers to dissolve and reconstitute governing councils at his pleasure in cases of “emergencies.” Perhaps, even more worrying is the fact that the act fails to define what it means by “emergencies” in the interpretation section. This nebulous and amorphous animal called “emergencies” will only create fertile grounds for abuse and a further attack on university councils especially in times when the Government disagrees with a Council decision. The recent KNUST impasse is a classical example. Another point to consider is that Council members will be beholden to the President, living in constant fear of being dissolved or removed much to the detriment of the institutions they serve. In any case, I would have thought that in times of emergencies – whatever emergencies stand for, the rich wisdom available on the university councils will be relied upon to help the powers that be to overcome such emergencies instead of this indecent hurry to do away with the Councils perhaps in times they are needed most. 3) Clause 24 dangerously arrogates approval of all financial matters in public universities solely in the hands of the Minister responsible for Finance in ways that appear inconsistent with Article 179 of the 1992 Constitution which gives such powers strictly to Parliament. 4) Clause 34 contemplates a Centralised Admission Platform and for which I read in the newspapers some weeks back that a committee has already been set up to recommend modalities for implementation. If it is that Government seeks to make policy interventions in the kind of programmes we should prioritise as a nation, the practice has been to establish norms under the auspices of the National Council for Tertiary Education (NCTE) – this practice could be strengthened instead of virtually hijacking the admission process. Again, learning from history; if the Prof. Kwapong Sub-Committee on Admission Policy in May 1963 rejected similar attempts to interfere with admission modalities as was then spearheaded by the powerful Kojo Botsio who doubled as Minister of Education and Chairman of the National Council for Higher Education, I do not see how the current Government will succeed with this latest attempt. Of course, except if contemporary university management across the country is willing to allow the Government a foothold. 5) Clause 35 envisages that student governance must be restructured to be consistent with provisions of this obnoxious bill. As a former NUGS President, and to the extent that this law flies in the face of the tenets of academic freedom and institutional autonomy, I expect student leaders to appreciate the harm this new law, if passed, will do to the quest for world class academic excellence and its impact on their degrees. This is the time for student leaders to forge strong coalitions with their lecturers and other interest groups to resist oppressor’s rule. Fewer an occasion in the history of the student movement has required defining and decisive mobilization. 6) Clause 36 is perhaps more insulting as it pushes for all public universities to come under harmonised statutes. This attempt to make our public universities glorified Junior High Schools without taking into account their unique missions and social anthropology is most offensive to say the least. This is most unacceptable! Why are we pouring such scorn on our university dons? Enough of the disdain and utter disrespect! The history of higher education in Ghana teaches us that not all policy directives from Government have been found to be helpful or noble and therefore requiring strict compliance. On 11th April, 1964, a presidential directive setting up an Appointments Committee which demanded that all the university institutions in Ghana use that body for appointment of their staff was politely disobeyed. So was the case when Government in 1977 decided to prematurely retire two University of Ghana Professors of the Medical School in a rather strange development – the university, for good reason refused to comply in an act of defiance worthy of commendation. If this law is passed, we run the real risk of Ministers of Education who are often activists of political parties making our universities their political playground especially in this era of extreme political polarisation. I shall conclude with a passionate appeal to President Akufo-Addo to without any further delay withdraw and abandon this repulsive and contemptuous policy. This cannot be a sound policy path for a democrat. No doubt, the world’s worst tyrant would be jealous of our President if he proceeds on this despotic and inglorious pursuit to assail academic freedom and institutional autonomy in our globally acclaimed and thriving universities. 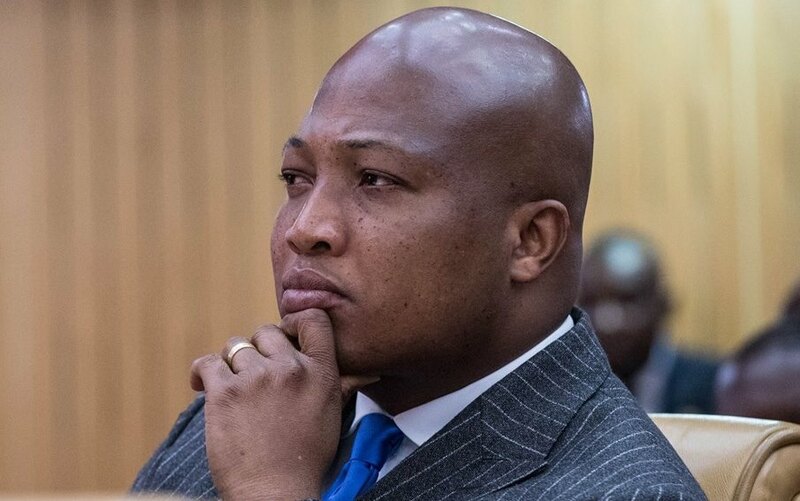 President Akufo-Addo, respectfully, you do not deserve to be remembered by posterity as the General Idi Amin Dada of university education in Ghana.